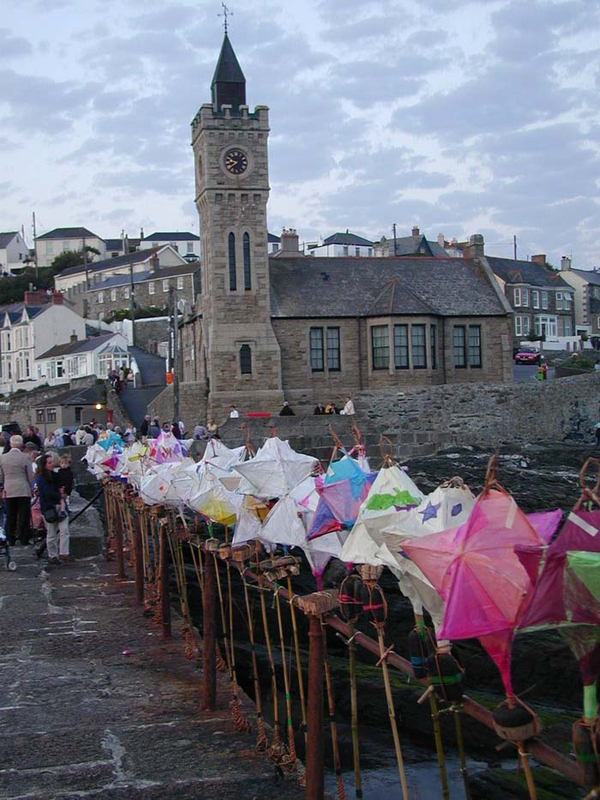 PORTHLEVEN WATER GALA in 2000 saw the launch on an outgoing tide from the Porthleven harbour, Cornwall, of 100 floating featherstick lanterns. These had been designed by Geraldine Jones and made by children and the local community at workshops in the village. These feathersticks and the larger star lanterns launched as the sun went down were made from willow and tissue paper, buoyed by cork floats and weighted with stones in a basketry cage to keep them level in the water. Each one had a return label attached. Enthusiasm for the celebration exceeded expectations and a whole day of events developed that included a trapeze performance of The Cornish Mermaid over the harbour, a procession led by African drumming, a Town Band concert, belly dancing, a carnival of decorated fishing boats and a ceilidh on the harbour head. The Gala Day ended with the 200 star lanterns lit with candles floating magically out of the harbour at dusk. This event, celebrating the turn of the century was funded by a ‘Year of the Artist’ Arts Council grants programme. Although most of the feathersticks were returned from local Cornish beaches, two did eventually arrive in Brittany close to Porthleven’s twin town. The following year the PORTHLEVEN MAKER’S FAIR was held to commemorate a visit from Breton residents of Porthleven’s Twin town, Guisseny. Links between agricultural and fishing baskets of Brittany and Cornwall were explored with demonstrations of lobster pot making and other crafts taking place on the harbour head green. 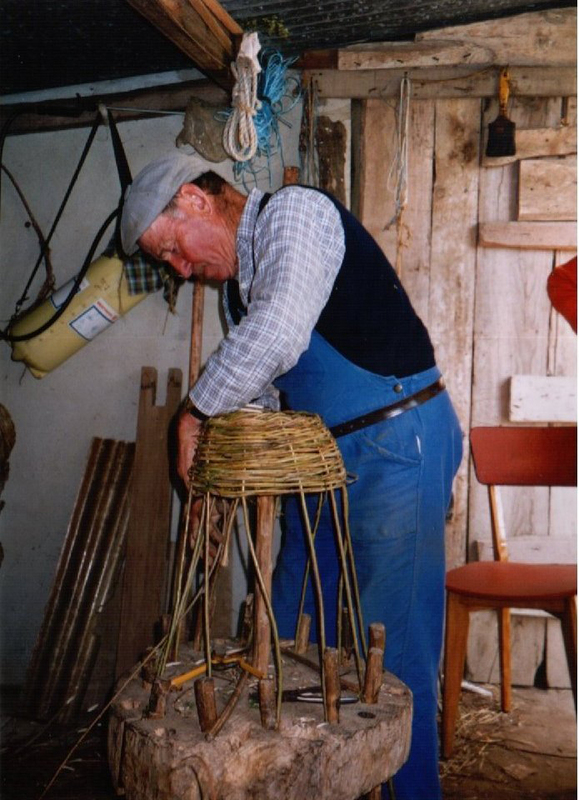 These two festival events that took place in the small fishing village of Porthleven in Cornwall led by Geraldine Jones and Hilary Burns, two willow enthusiasts, to establish Basketry and Beyond.